TGIF! 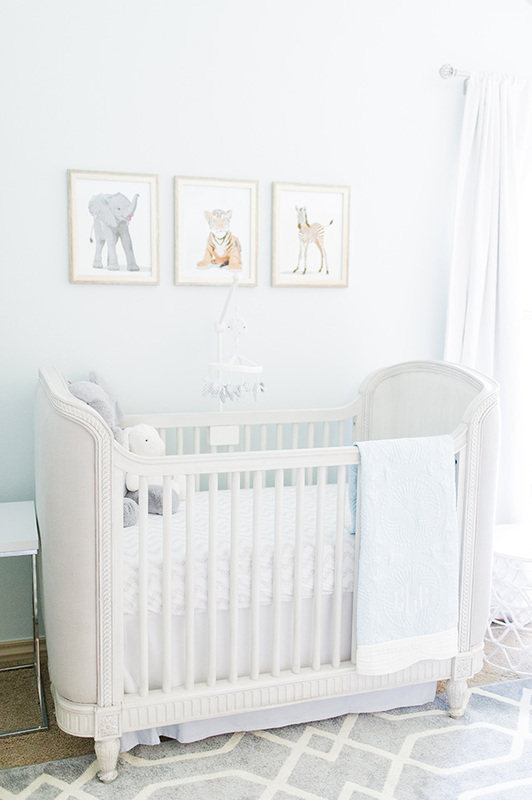 Today I am thrilled to share the completed nursery design I created with my friend Traci for her new baby boy, Carson. 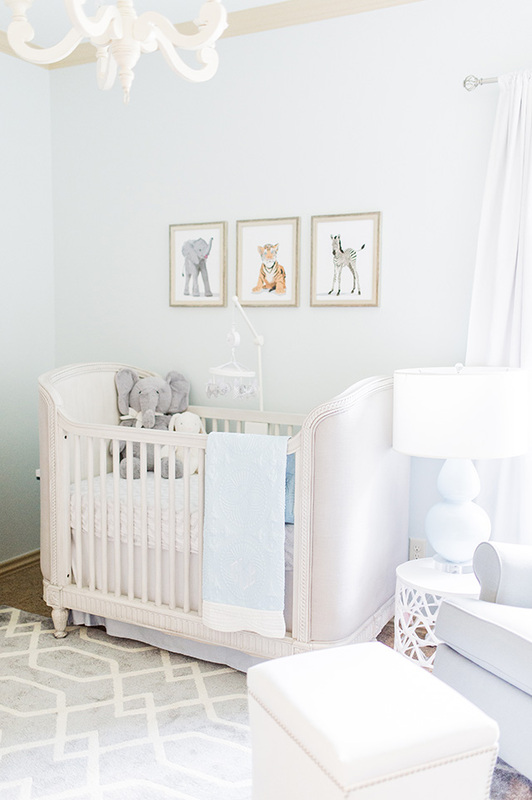 Traci has hired me in the past to help with a few other spaces in her Oklahoma City home back when I lived in Houston, so when she contacted me about helping with her nursery, I couldn't have been more excited! 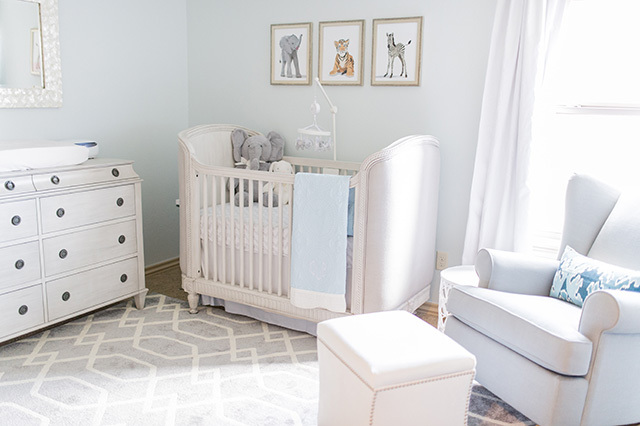 She and her husband Matt deserve a lot of credit, though, because this nursery design was 100% implemented by them. I worked from New York to lay out the floor plan in CAD and put together ideas and design boards for them, but they did all the leg work of pulling it together and making it look beautiful in their home. See the full reveal after the jump! I love the antique gray mist finish for it's delicacy and simplicity. 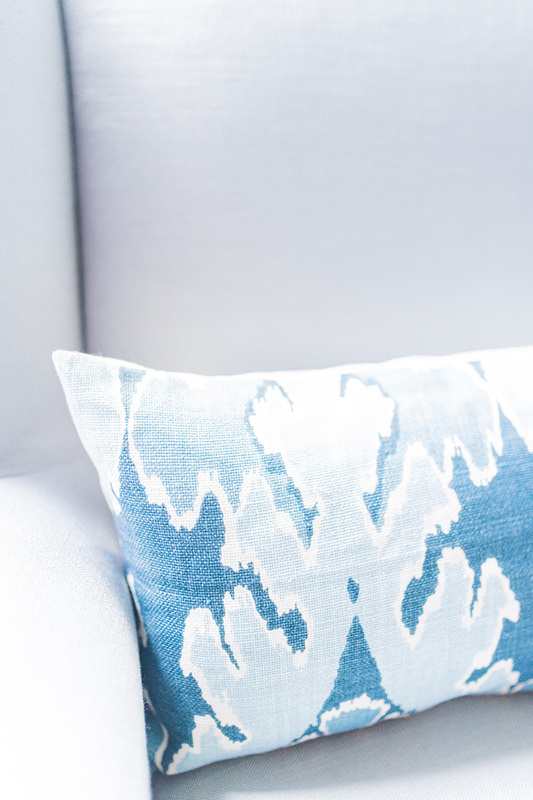 From a design perspective, it's a great shade to work with because it doesn't fight with other hues in the space. 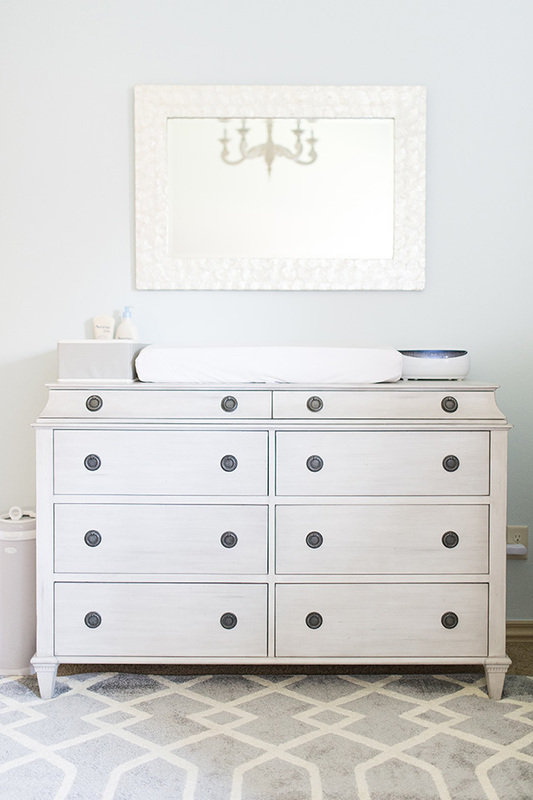 We paired the changing table/dresser with a mosaic shell mirror. Next, we needed to decide what rug to do. Traci is not a fan of the carpet currently in the nursery room, so really wanted to cover it with a floor rug. Using rugs over carpet always makes me a tad nervous, especially when the carpet has a high pile, so I knew we needed to choose a thick option. I also always recommend a rug pad (even more important when covering carpet), and corner stays to keep the corners of the rug from curling. We ended up choosing one of Surya's Horizon Rugs in Grey/Ivory. Traci and Matt wanted to implement a book shelf of some sort, but I didn't want a bulky one to take up any precious floor space that Carson might want to use for playing later on. So, we used 3 acrylic card shelves to display all of Carson's new books! 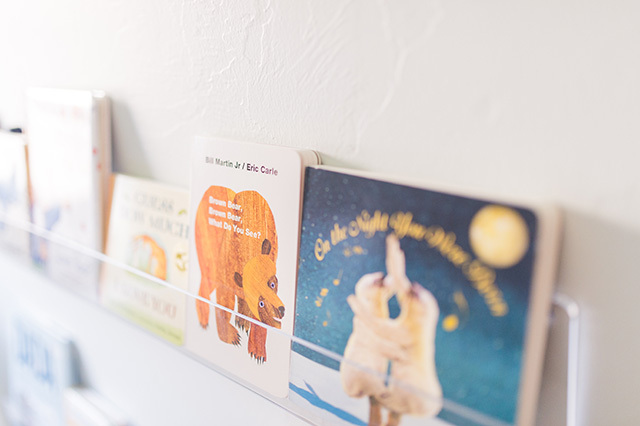 For a toddler, I think seeing the covers rather than the bindings is helpful when choosing a book from a shelf. 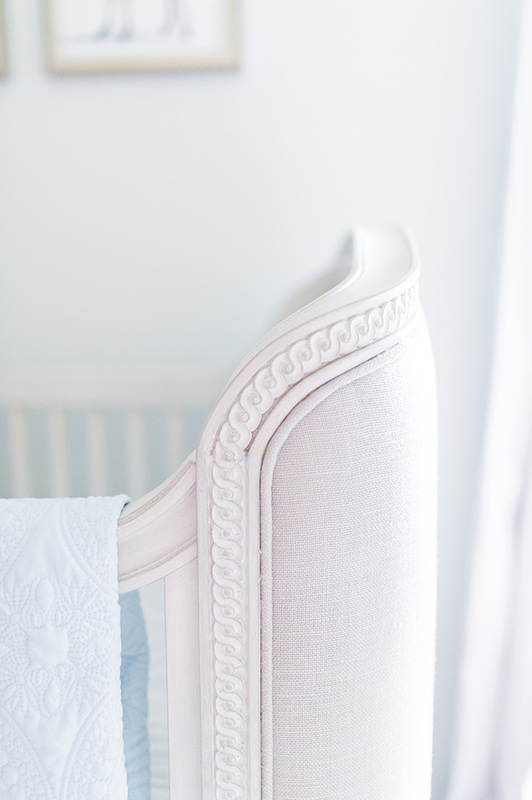 For bedding, we opted not to do a bumper, but choose a chevron crib sheet and Serena & Lily's Dylan Crib Skirt. 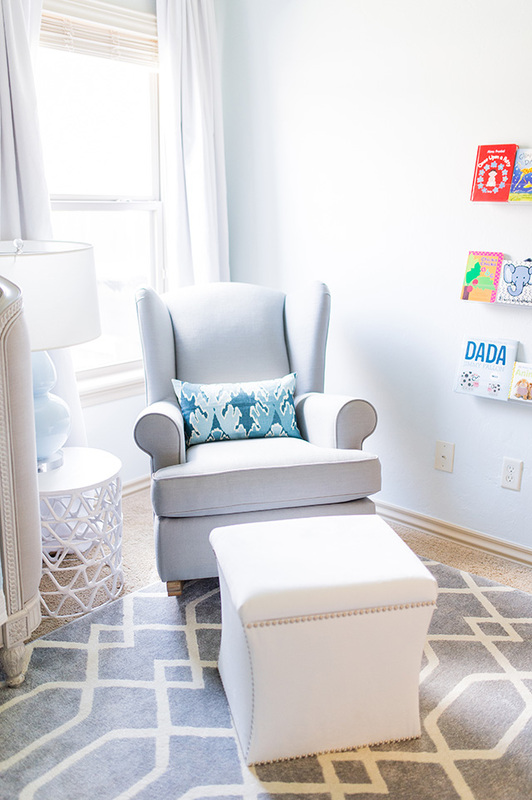 The overall aesthetic we were hoping to create was a calm, soothing space with varying neutral hues and a few playful touches (like the side table and bookshelf). It's a good day as a designer when the look is achieved and your clients are happy. Thanks for letting me be a part of this, Traci and Matt! This is perfection, Sam!!!! Amazing job as always! I need you back in Texas one of these days to do our home! Ah! So so gorgeous Sam! I love it all!!! Do you happen to know the paint color they used for the walls? Love it! Thank you.Enjoy new year with great messages.